Sometimes, you love working with a couple so much, that you ask them to come back for a second time. This was the case with the überlovely Nick & Ali, as we loved our first time with them so much that we pleaded (or is it pled…is that even a word? Ahh man, where’s me proof readers when I need them most…) and begged (there’s a word that I know how to use, as a good Otis always knows when it’s time to beg…good Otis…sit…stay…) them to come back for one more round at the FunCenter For the study of Fun and Centers, currently specializing in the study of the center of creme filled cookies (FCFTSOFACCSITSOTCOCFC, for short) to get just a few more super-sweet e.pics taken. Having worked with this totallyawesomesuperübercouple before, we knew that they were going to enter the session as total and complete pro’s (that meas pro-freakin-fessional, y’all), and they did not dissappoint us. In fact, they took the awesomeness that was their first time with us, which was 100% awesome, and doubled that. Did you hear that, THEY MADE IT 200%…WHICH IS DOUBLE!! DOOOOOOOUUUUUUUBBBBBBBLLLLLLLLLLE! That would mean, like, let’s say you have all of the money in the world, like, all the money that anyone has ever had, it would be like taking all of that and making two of each. Now, I don’t need to hear any logic arguments from anyone saying things like, ‘Actually, dear exalted Otis, even though it is doubled, you would still only have 100% of all the money, because the percentile remains constant to the amount as a whole…’, so, to all you math dorks out there, just zip it. I don’t need to hear it. Like, I’m proud of you for being good at math, but that ain’t my bag, baby. So…yeah…Nick & Ali! They tore it up…they rocked the house, they may have even raised the roof. That’s how insanely good they were. But enough of all this pablum that I’m throwing in your faces, let’s get to the real reason that all of you are proud enough to call yourselves ‘students of the blog’, the pics. Without any further delay, it’s Nick & Ali – Enjoy! Previous Previous post: Prob’s Wit Comments? 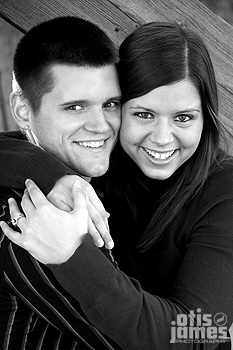 Next Next post: Josh & Nichole!